For 130 years, Raleigh has been making quality bicycles in Nottingham. Chances are that you rode a Raleigh when you were younger - and maybe you still do now. Renowned for iconic bikes such as the Burner, Grifter and Chopper, as well as the cutting-edge bikes like TI-Raleigh Tour de France winning 853 steel frames or Militis carbon race machine. But today they are much more than just a bike brand. 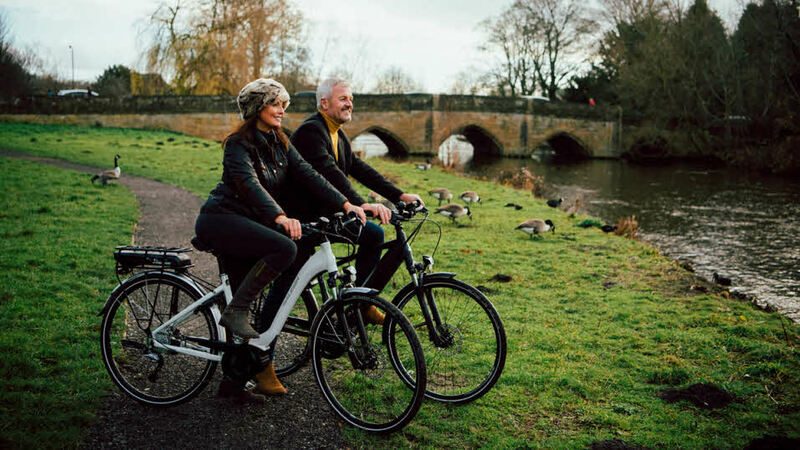 As well as being the UK leader in the Electric bike market, Raleigh’s bicycle ranges currently include models for mountain biking, leisure riding, commuting and for playing, models for children and even models for big kids! "Many thanks to the club for arranging the Raleigh Cycle deal. We recently purchased two Stow-E-Way cycles for our motorhome. Having already travelled through France and Spain end-route to Portugal (I am currently writing to you from a site in Nazaro’) I would like to sing their praises. We perhaps wouldn't have considered these cycles but the Club offer brought them to our attention. We have ridden umpteen miles and have been places and seen things we are certain we would not have seen without them. A special mention too to our local supplier Freedom Cycles in Lichfield for their knowledge, professionalism (and patience) for their help in delivering the offer so efficiently." Helmet will be available to choose in basket once code has been applied. It is one helmet per bike bought.